Cockroaches have been around for more than 300 million years. The modern cockroach has a need for warm and moist climates. There are 3,500 kinds of cockroaches around the world. Almost all cockroaches are fairly similar in general shape and appearance. They are nocturnal and usually stay in the dark whenever possible. 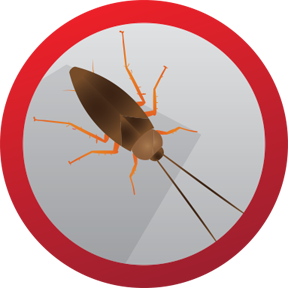 When you see roaches in the open or in the light, it usually means that a large infestation is present. Cockroaches normally also like tight places where their bodies can touch surfaces that are both above and below. Roaches seek varied living spaces to accommodate their increasing size.